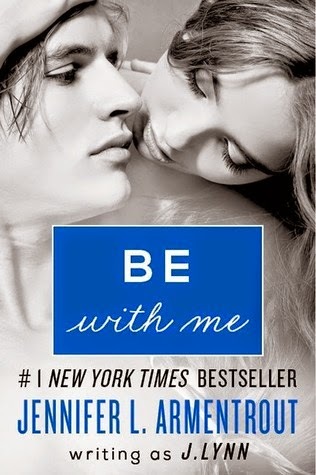 J. Lynn (Jennifer Armentrout), consistently writes stories that amaze me and make me feel so much, time and time again. I know when I begin one of her stories, I will be completely hooked from the beginning, and not be able to put it down. If you're ever in a reading slump, my suggestion is to read one of her books, you will be instantly pulled out. However, a word of caution; you won't be able to just read one!!! 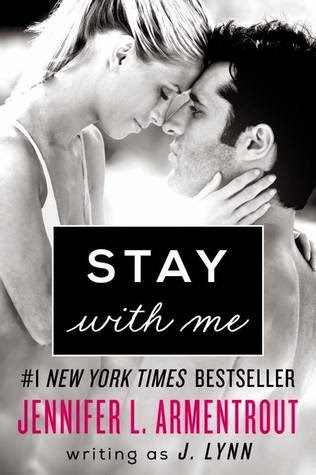 Stay With Me was a brilliant addition to the Wait For You series. J. Lynn crafted two unforgettable main characters, Calla and Jax. Calla is good friends with the, "Hot Guy Brigade," and their significant others, especially, Teresa. Yet, she knows she will never get a hot guy for herself. You see, she has a horrible scar that runs down her face, that even her derma blend make-up can't hide. When Calla goes to pay for her next semester's tuition, she is upset and beyond stressed when her bank card is declined. She learns soon after that her alcoholic mother cleared out her accounts, and tanked her credit, by taking out loans in Calla's name. So, Calla returns to her hometown, a place that she hasn't been in years. You see, she has no place to live, and very little money to her name. She hopes to find her mother, Mona, and recover some of the money that she stole. Instead, she learns that Mona has fled town, and is on the run from some very dangerous criminals, which in turn has placed Calla in danger. When Calla goes to her mother's bar, she meets the bartender, Jax, a man that would fit quiet nicely in to the hot guy brigade. She is surprised when he flirts with her. 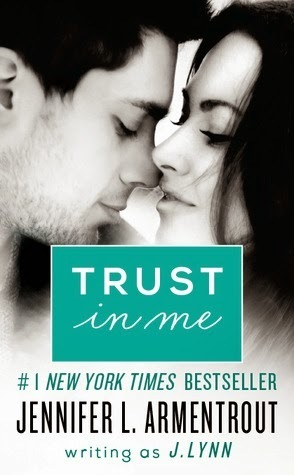 When Jax finds out that she is in danger, he does everything to keep her safe and falls for her while doing just that. However, Calla has many dark secrets from her past, and insecurities from the scar on her face, and others on her body. How could a man as good looking as Jax ever want to be with a girl like her? Whew!!! The chemistry between Calla and Jax was off the charts. I could feel it sizzling, and growing more intense as the story continued. I loved how alpha male, protective, and reassuring Jax was when it concerned Calla. These two made a great couple! It was wonderful getting reunited with Cam, Avery, Jace, Teresa, Ollie, and Britt as well! I really love this cast of characters, and have connected to them. On a separate note, I was able to empathize with the way Calla felt about the scars on her face and body. I understood how hard it was for her to feel desirable and attractive. You see, I was hospitalized at one time, and have scars all over my hand, plus two amputated fingers, and scars all over my stomach. When something like that happens; It really challenges society's and in turn one's own definition of beauty. I applaud J. Lynn for giving us a less then flawless lead character. Calla was a character that I could relate to, and I went through all of her fears and insecurities right along with her. 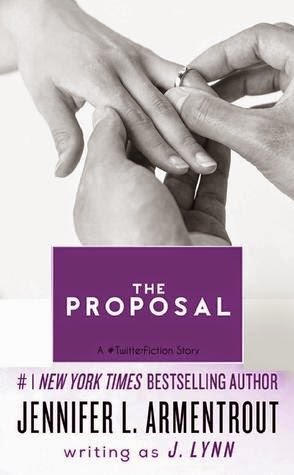 Her journey was also mine, and the way that Jax reassured her, and let her know that she was beautiful in his eyes, reminded me of how my husband makes me feel every day. I give, Stay With Me, by J. Lynn, 5 Emotional, Realistic, Profound, Suspenseful, "Welcome Another Member of the Hot Guy Brigade," Filled Stars!!! Read this story! It is sure to make an amazing lasting impression, and leave a mark! Oh my God, this was spooning. Total spooning. I was spooning with an honorary member of the Hot Guy Brigade. Did I wake up in a parallel universe? “Sleep,” he demanded, as if the one word carried that much power. “Go to sleep, Calla.” This time his voice was softer, quieter. He chuckled. I rolled my eyes, but the most ridiculous thing ever was the fact that after a couple of minutes, my eyes stayed shut. I . . . I actually settled in against him. With his front pressed to my back, his long legs cradling mine, and his arm snug around my waist, I actually did feel safe. More than that, I felt something else—something I hadn’t felt in years. I completely loved this book!